Once upon time, newspapers saw it as part of their mission not only to deliver the important news of the day, but also to entertain readers with stories — with riveting, fully developed novels told in short installments. 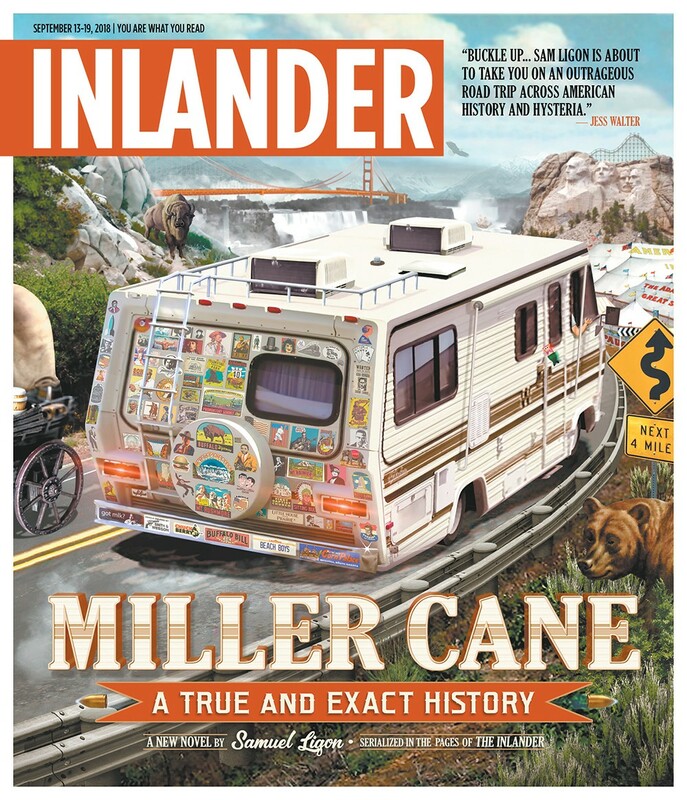 The tradition of serials includes some of our greatest writers, from Dickens and Tolstoy to Hunter S. Thompson, and it continues today, with the Sept. 13, 2018, issue of the Inlander. Over the course of the next year, we’re publishing Miller Cane: A True and Exact History, a new novel by Samuel Ligon. The latest installments of the book will always appear in print first, then on a dedicated website and the radio. Spokane Public Radio is broadcasting audio versions of the book over the course of its run in the Inlander. Early reviews are glowing. “Settle in for a ride that is always wild, full of tension, sharply imagined, empathetically told, funny as hell, and absolutely fearless,” says Kim Barnes, author of In the Wilderness, a Pulitzer finalist.